Ms. Brown was on a date. This was a big deal since she'd been very, very busy all year. Her school was a tough place to work. Everywhere she turned there were demands. You had to go to this meeting. You had to fill out these forms. You had to sign in for this and sign out for that. Your classroom had to look just like this and your bulletin boards had to look just like that. It never ended. But here she was, in a nice restaurant, with a guy she liked. And right in front of her was a two-and-a-half-pound lobster. She loved lobster. "Let's talk about us," said the guy. "It's time for us to decide where we're gonna go from here. We've been dating for a few months and I think it's time we..."
Ms. Brown was torn. There, right in front of her face was a lobster. She really wanted to eat that lobster. Almost every day she went to lunch in the school cafeteria, where she had to decide between a grilled cheese sandwich in a plastic bag or a rectangular piece of dried out fried fish. Was it really fried? Maybe it was baked. Maybe they stuck it in a microwave. It was tough to say. How did they get it all dried out like that? "Because, you know, these are important decisions. We have to make them. We don't get opportunities like these every day. 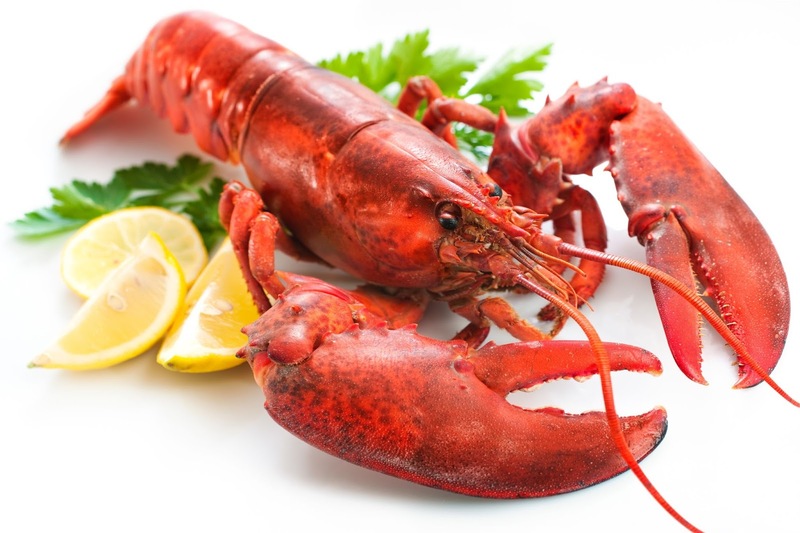 I think it's time we start thinking seriously about..."
And then there was that lobster. It looked perfect. All she had to do was start cracking it open. But wouldn't that be rude? I mean there was this guy, probably paying for the lobster and everything, and if she were to pick up a claw and loudly crack it, it would seem rude, wouldn't it? But she couldn't remember the last time she'd had a lobster. She loved lobster. When was the last time she had a chance to just sit down and enjoy something? "...and we have to really consider whether or not these are the right steps. You can't take these decisions lightly. They have long-term implications. Too many people just jump into things without even..."
Sure, these decisions were important. You can't move ahead without thinking. But couldn't she stop just for one moment and consider the lobster? It looked so good. When was the next chance she'd get to have a lobster? Maybe if she quietly picked out pieces of the tail it wouldn't be so noticeable. She had that little fork. Could she act like she was considering the speech and just kind of eat while appearing thoughtful? That would probably pass. "...so, you know, it's all about where we go from here. We need to decide whether this next step is right for us, because this is a very important stage in our relationship, and the only way we're gonna..."
He was a pretty nice guy, actually. If only he'd stop talking for one moment so they could eat. Food was kind of important, and with her job she never had time to cook it. She usually had to run someplace and grab something after school so that she'd be able to grade papers. It was a constant struggle to get that done without spilling food on them. You had to be so delicate when you wiped off food, or even worse coffee, from a piece of looseleaf. "So at this stage, we have to carefully weigh our alternatives. You can't just do these things without thinking because while it might seem like a good idea, you have to..."
It was so hard to find time to go out. She had at least two stacks of papers that she had to grade this weekend. Couldn't she just eat the lobster now? She wanted it so much. She nodded her head. That was good. She would appear to understand the words that kept floating into the air. Meanwhile, she delicately maneuvered the little fork into that tail. She kept nodding, saying, "Mm-hmm," in the most sympathetic voice she could muster. She maneuvered a piece of lobster onto her fork. It was a little big. There was a knife. She cut it into three pieces, all the while nodding her head. It was working. She took one of the pieces, dipped it in butter, and raised it to her mouth. It was the best thing she'd ever tasted in her life.